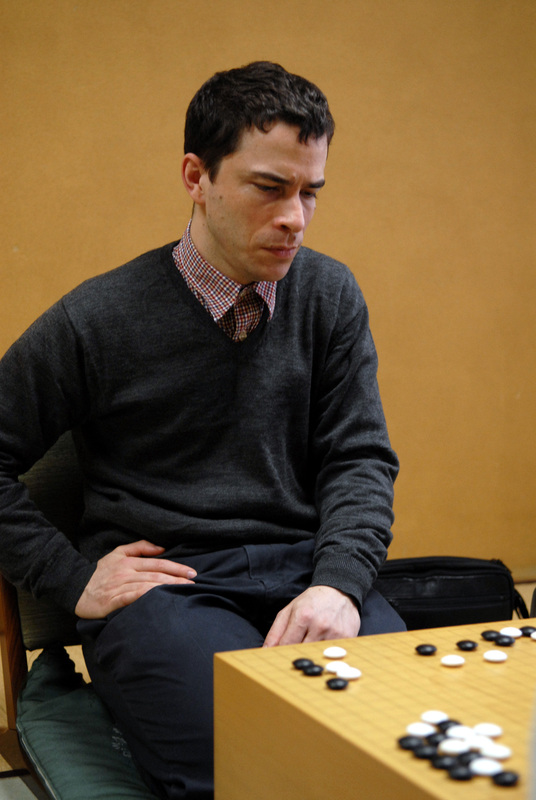 Michael Redmond, a master of the game of Go, considering his next move. In this spare landscape, with little to see, the fine grains are the only thing the eye finds. It could be worse to be sure, much worse. The air is turning yellow, like phlegm. That’s just the way it is. Eventually, black. This is well-known. It is well understood. Not much more can be said about it. So enough of that. I’m here to help. We’re here to help. We’re here to do what we can. Or so it is for me, and those I love. Another day passes, and I work on indirect things. I can’t measure it as ‘getting things done’, but I’m doing things that matter. I know this intuitively. I am working towards something, but can’t quite tell what that something is. Still, my efforts are not coming from nowhere: I’ve worked hard to get “here”. As mentioned in Michael Redmond’s wonderful commentary on the games between Go master Lee Sedol and the AlphaGo. When it comes to master level play, intuition is a feeling one must rely on when you go off book, and it is derived from decades of working hard but is not available as a rationale. It is trustworthy because it is built on prior knowledge and work. Still, he later says (paraphrasing) “While I don’t know where this will end up, each of the moves are good”.